The Alphabet Initial Pendant Collection! Each with its own character and personality. As a result, initial pendants are making a strong comeback. The layered look: Today, women are wearing these pendants by layering their own initial with words of personal significance, symbols and birthstones, making them even more personal. Choose Letter from “A” to “Z”. It comes with a 17″ long chain which is made in Italy! 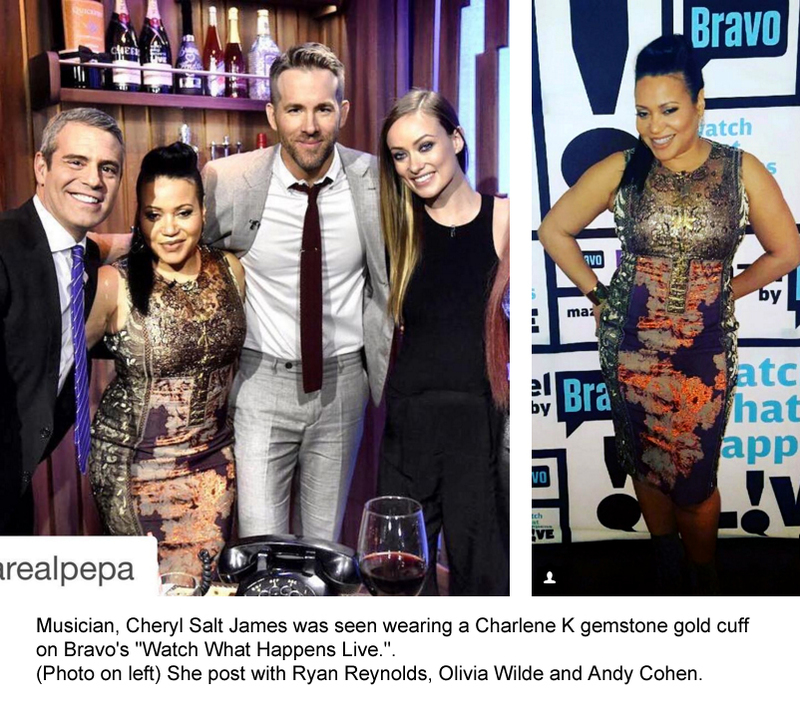 Musician Cheryl Salt James was seen wearing Charlene K gemstone gold cuff on BRAVO’s “Watch What Happens Live”. 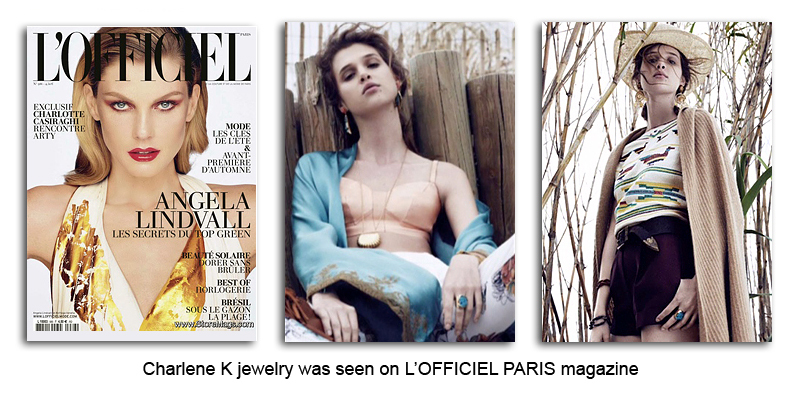 Charlene K jewelry was featured on the cover and on the inside editorial pages. 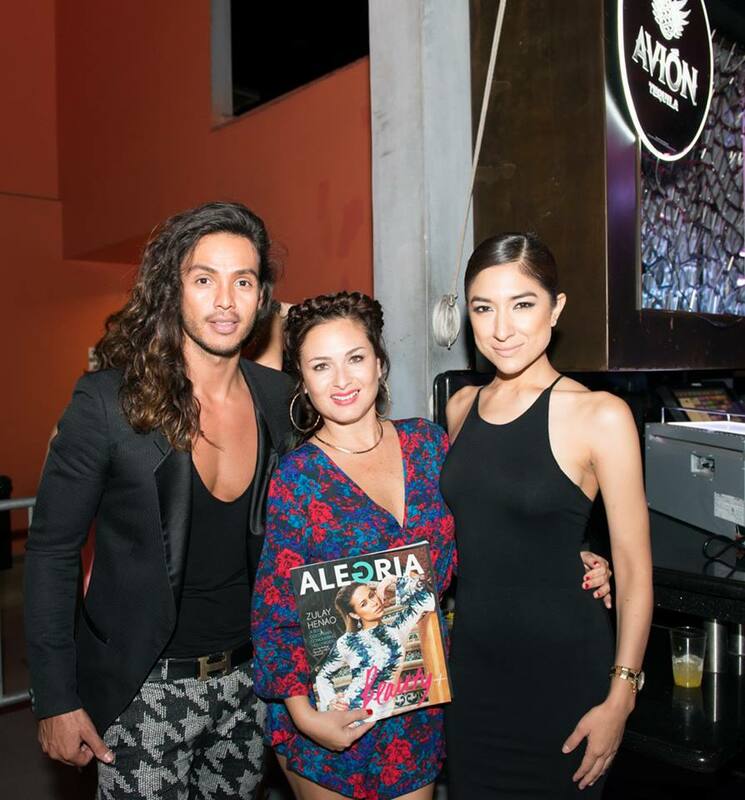 The Summer Edition will feature rising Hollywood and Latina actress Zulay Henao as well as Fernanda Romero, a bona fide star in her home country, Mexico. Zulay Henao is a Colombian-American, film and television actress. She co-starred in a number of films such as Illegal Tender (2007), Fighting (2009), Takers (2010), Boy Wonder (2011) and The Single Moms’ Club (2014). 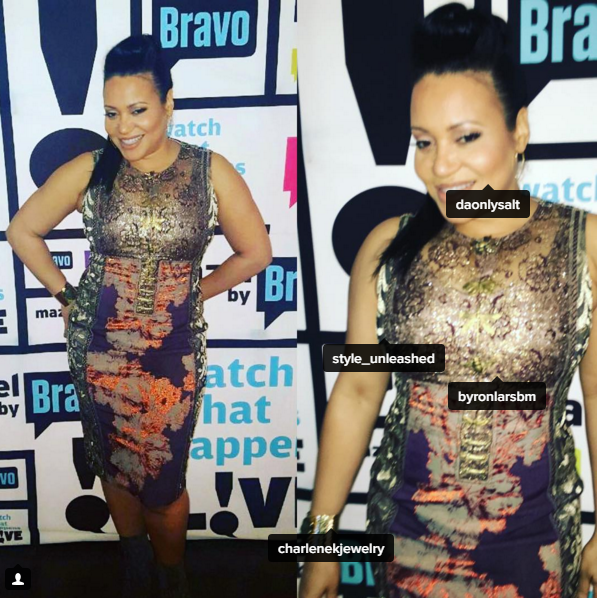 In 2014 she began starring as one of the lead characters in the Oprah Winfrey Network series, If Loving You Is Wrong. L’Officiel (French pronunciation: [lɔfisjɛl]) is a French fashion magazine. It has been published in Paris since 1921 and targets upper-income, educated women aged 25 to 49. In 2006, it had a circulation of 101,719. A men’s edition of L’Officiel, L’Officiel Hommes, and many foreign editions are also published. The complete name of the magazine is “L’Officiel de la couture et de la mode de Paris”. Lucky is a shopping and style magazine which calls itself the Ultimate Shopping Guide and The Magazine About Shopping . Since its launch in December 2000, Lucky has been one of Condé Nast‘s biggest successes, with circulation going from 500,000 to over 1.1 million. Claiming to be a “voice of a friend in the know,” the magazine provides suggestions in a writing style that mimics a conversation with the reader’s best, and most likely female, friend. 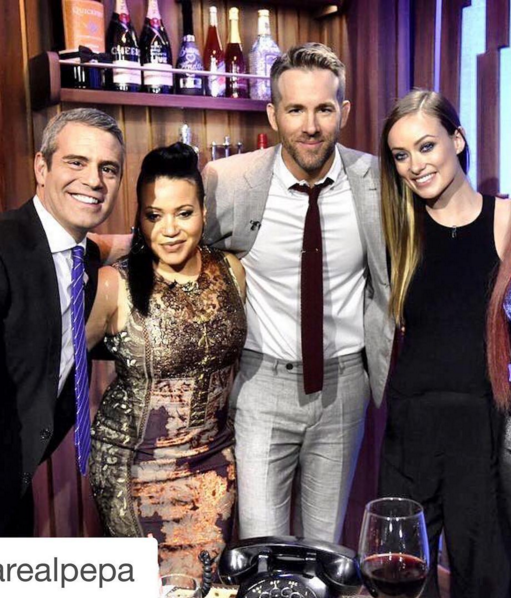 We just received great news that Charlene K will be featured on the front page of http://www.luckymag.com/ this coming April 18th for a “Deal of the Day” deal. Editors at Lucky swooned over the cuffs and called them timeless items and perfect for any occasion. More to come as the date comes closer! New arrival!!! LA Fashion Week from Oct 17 to 20, Suite B531 & A1093. To make an appointment, please call: (949) 370-1130. 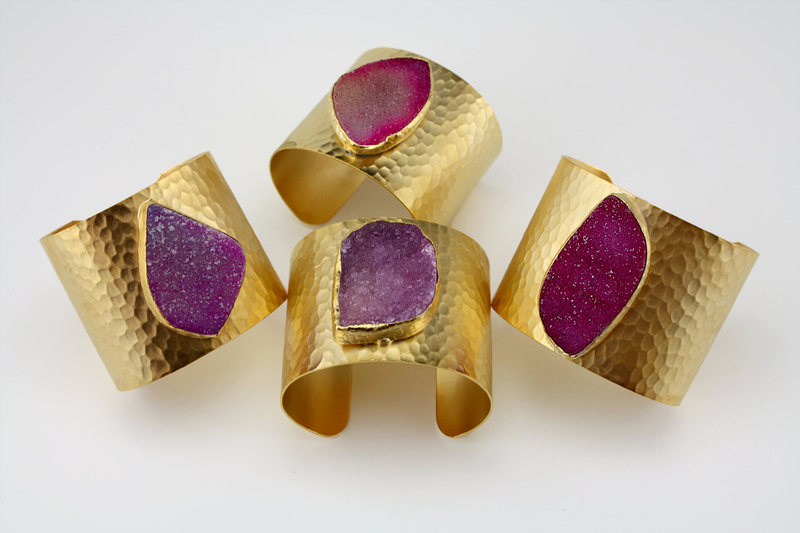 Druzy Cuffs, available in 24K Gold Plated or Silver Plated. Sizes: 2″ and 3″ Width. Photo by Daniel Ferreira. 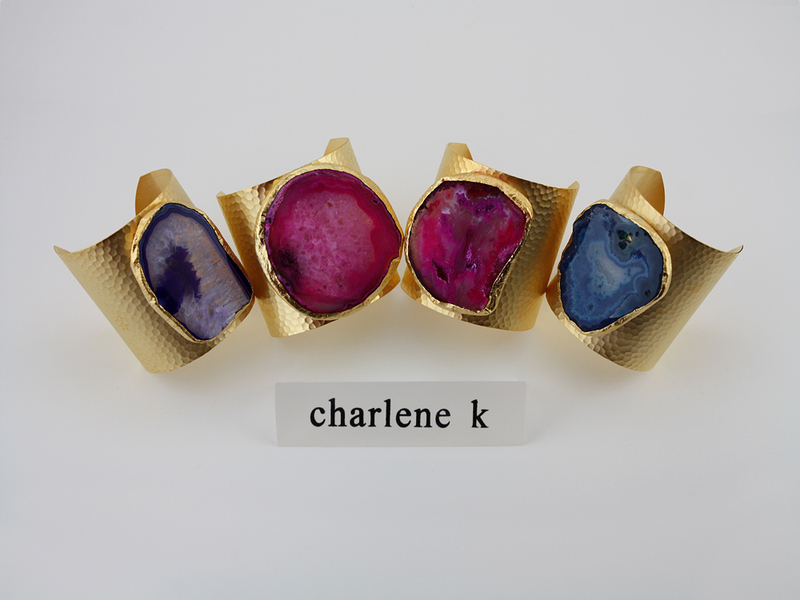 Agate Quartz Cuffs, available in 24K Gold Plated or Silver Plated. Sizes: 2″ and 3″ Width. Photo by Daniel Ferreira.